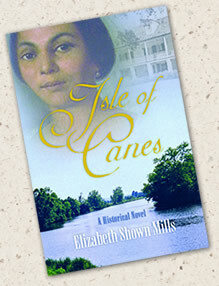 The African artisan and his princess, captured into slavery and brought to the wilds of Louisiana in 1735. He accepted their fate and insisted that she accept it, too. Beautiful, talented, and fiery, she swore over the dead bodies of her parents that one day their family would be free, rich, and proud. She kept her vow. Half-African, half-French, he ruled over the Isle of Canes as patriarch of a legendary colony of creoles de couleur who lived in pillared mansions yet toiled beside the 500 slaves who tilled their 18,000 acres. Born to riches, she died in shame; but she never forgot the heritage of her family or the brutal Civil War that destroyed it. Through the persecutions of Reconstruction and Jim Crow, hers was a different vow: Never would her family forget who they were, until the day came that they could—and would—reclaim their pride and their Isle. She, too, kept her promise. Coincoin cried, “we shall be free again! Free! And proud! And noble! We will be free! Her grandfather had been a king; her parents lived as slaves. At her parents’ death, sixteen-year-old Coincoin vowed to restore her family to the grandeur it deserved. One day, her family would rule again. She kept her vow. Strong-willed, resourceful, and hauntingly beautiful, Coincoin had been trained by her mother in the healing arts. She would use that skill and many others as stepping stones to freedom. But the path to keeping her vow was not an easy one. Forsaken by her husband when she would not abandon their children to flee slavery, Coincoin was sustained by a faith that she would one day find a better route to freedom for all of them. When her destiny confronted her in the form of a Frenchman seeking wealth and adventure on the Louisiana frontier, she met it boldly and paid the price it demanded. 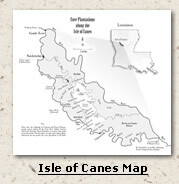 Wealthy, educated, cultured, and proud, Coincoin’s descendants would rule the Isle of Canes, but they would be pawns in the cultural battle between Louisiana’s Creoles and Anglo newcomers. The Civil War that promised equality took away their identity as a special caste and left them destitute. Then Jim Crow stripped them of the last of their rights. Yet throughout all indignities, the Isle’s Creoles of color never lost their pride, their respect for their heritage—French, Spanish, African, and Indian—or their belief that they were meant to be a bridge across the great American divide between black and white.